Could Changes to Test Prep Program Make Boston Latin School More Diverse? Black and Latino students in Boston increasingly are enrolled in a free program that offers test prep services for students seeking entry into the district’s three prestigious exam schools — one of which is under federal investigation for alleged racial discrimination and harassment, The Boston Globe reports. The growth in minority student participation comes after a recent expansion and other changes to the Exam School Initiative, with district and city leaders eyeing a more equitable and diverse future for the embattled Boston Latin School and the district’s other two elite secondary campuses. A Globe story last April that found that the Exam School Initiative’s students did not reflect the diverse demographics of Boston Public Schools appears to be the catalyst for changes to the program, which include a 300-slot expansion for rising sixth-graders from underrepresented schools, as well as free transportation and meals for students. The program initially targeted black and Hispanic students but had become 44 percent white, Globe reporter Stephanie Ebbert said in an interview with WBUR. The district’s efforts seem to have reversed that trend, Ebbert writes. Forty-six percent of the students who participated in the test prep program this summer were black or Latino, and the percentage of white students decreased to 28 percent — figures closer to the overall demographics of the district, where 41.5 percent of students are Hispanic, 32.4 percent are black, and 14.2 percent are white. The Exam School Initiative is housed at Boston Latin School, the nation’s first and oldest public school, which has been under fire for both a lack of diversity and treatment of black students on its campus. After two students started the #BlackatBLS social media campaign on Martin Luther King, Jr. Day, a slew of unsettling stories emerged, including one 1995 graduate’s account of white students protesting his candidacy for class president by wearing sheets over their heads in the notorious Klu Klux Klan fashion. “I remember asking myself how these students made it through part of the day with those sheets on and today, I ask myself why they were never disciplined and this is at the heart of what I see with the #blackatbls controversy today,” Omekongo Dibinga, now a professor at American University, wrote on his blog. The campaign launched an official investigation into the school by the district’s Office of Equity, which revealed that of the 115 “bias-based incidents” reported between January and June, there were 17 cases in which an administrator, teacher or student did not follow district policy “to appropriately investigate, document, and/or take steps to prevent recurrences of bias-based conduct,” WBUR reports. Community leaders also sought further probing from the U.S. attorney’s office, which has sent a Civil Rights Unit to investigate students’ claims. Meanwhile, the district will continue its efforts to attract minority students to the free exam preparation program and raise awareness for the Exam School Initiative, which will continue on Saturdays this fall. Officials are “thinking creatively” about it, writes Ebbert. So far, ideas include sending automated phone calls, working with social service agencies to reach parents who don’t speak English, and urging ministers to remind their congregations about the program from the pulpit. 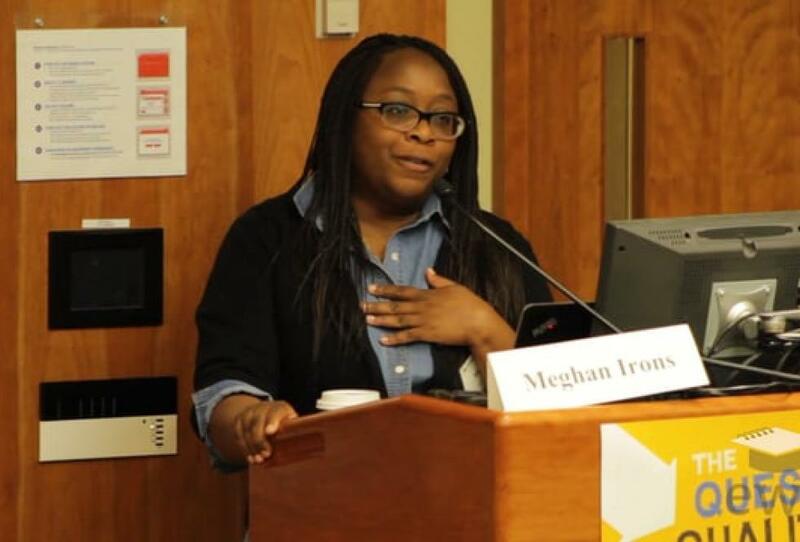 Award-winning Boston Globe journalist Meghan Irons shares lessons from her reporting on two complex stories about students and race: one on equity and campus climate at Boston Latin, the nation’s oldest public school; and another that looked closely at school desegregation 40 years after the tumultuous debut of court-ordered busing in Boston. More than six decades since the landmark Brown vs. Board of Education decision declared that segregated schools are “inherently unequal,” Latino students from low-income backgrounds are becoming increasingly isolated in public schools across the country. The most-segregated schools Latinos attend often have fewer resources, including less access to Advanced Placement courses and Gifted and Talented Education (GATE) programs, compared with schools with high populations of affluent and white students. Schools in New York City are being asked to consider voluntary diversity plans in an effort to combat widespread segregation in the city’s schools.